WIN A FIFTY SHADES DARKER PRIZE PACK! We're so excited to give away a Fifty Shades Darker Prize Pack that includes a Fifty Shades Darker Shirt, Vanity Bag and Lip Balm! 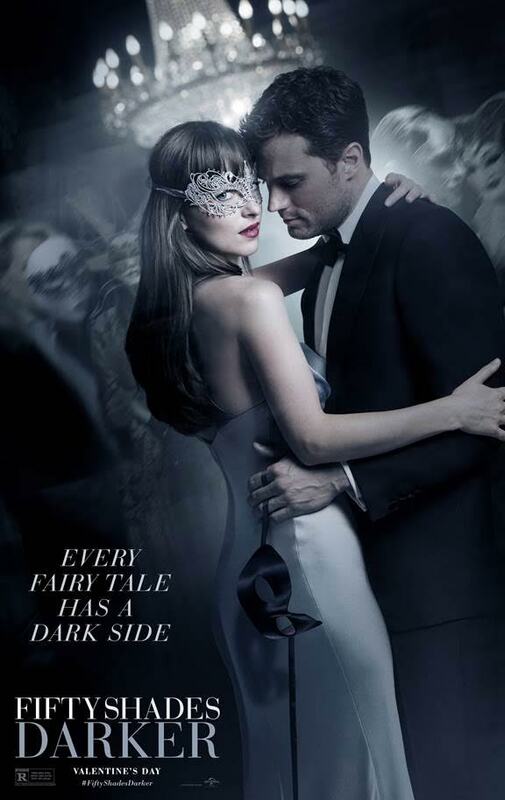 "I can't wait to see #FiftyShadesDarker in theaters on Feb 10, 2017. #OfficialFifty "
Don't forget to tag us, @FiftyShadesFilm in all your posts so we can see your entry. If you can't find a billboard or advertisement you can use this #OfficialFifty movie poster for your entry, with the phrase above. There's no limit to how many times a day you can enter and this is open world wide! Winner will be notified on the social media they enter on and will required to provide full name and valid mailing address by February 16, 2017.